That is very funny... I think it is important to assume that they don't know the history though, otherwise, yes, it perhaps isn't so funny. It is actually funny. It looks like a creative way to express rebellion (not that you should let the rebellion succeed, that's a complete different story). 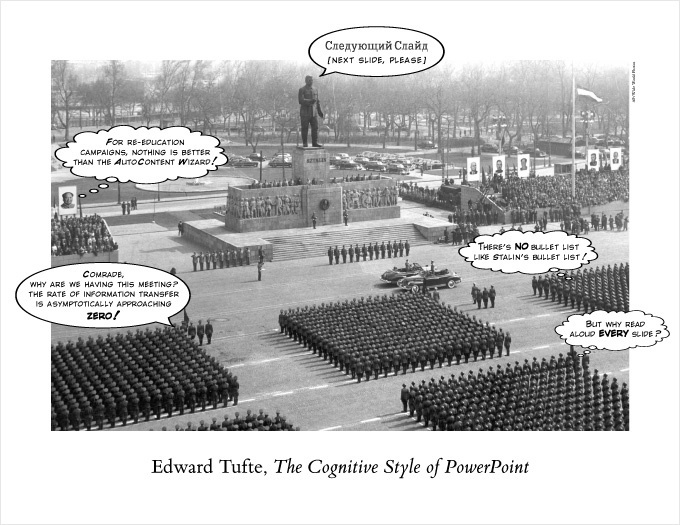 Did he read Edward Tufte eventually? (Great resource for visualizations). There is a similar page.